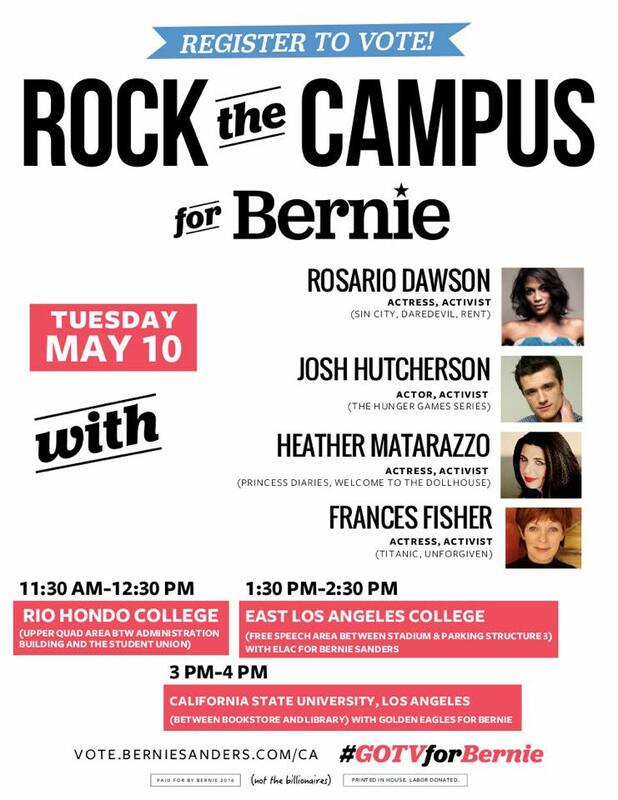 elac13139290_1724256957846794_5617234282339862005_n.jpg, image/jpeg, 741x960 ELAC for Bernie Sanders is pleased to announce that Actress Rosario Dawson and Actor Josh Hutcherson will be joining us this Tuesday May 10th! Come out and join us in the "Free Speech" area where we'll be registering students to vote from 1:30 to 2:30. The "Free Speech" area is right in front of the bagel truck, by the swim stadium.